Study Bachelor of Medical Radiation Science (Radiation Therapy) at the University of South Australia (UniSA). Information for International students. 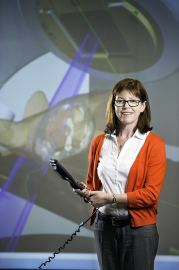 Study South Australia’s only Medical Radiation Science degree. Treat simulated patients in our $2 million on-campus Virtual Environment Radiotherapy Training (VERT) suite. Get practical experience when you complete clinical placements as part of your studies. Graduate with a highly regarded qualification. This is the only degree of its type in South Australia, preparing you for a rewarding career in the highly specialised field of radiation therapy. Radiation therapists work alongside radiation oncologists and medical physicists to plan and deliver radiation treatment, primarily to cancer patients. Using dedicated radiotherapy treatment planning software, radiation therapists model radiation doses and operate radiation equipment to accurately deliver high energy ionising radiation treatments. 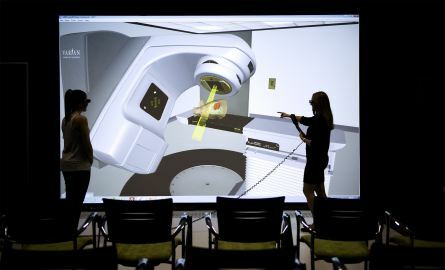 As a radiation therapy student, you will learn in state-of-the-art on-campus facilities, including our Virtual Environment Radiotherapy Training (VERT) suite, where you will gain valuable hands-on experience. Further practical experience is gained during field placements. You’ll complete over 1,800 hours of clinical placements, complemented by an in-depth theoretical component taught by our award-winning teachers. With a suite of state-of-the-art radiation therapy technology located on-campus, it's easy to see why this degree is so highly regarded both nationally and internationally. High achieving students may be considered for the Bachelor of Medical Radiation Science (Honours) (Radiation Therapy) program in the third year. During your first year you will focus on basic sciences at the core of the study and practice of medical radiation science. You will cover a range of topics, including anatomy, physiology, pathology and radiation physics. These core subjects offer an introduction to medical radiation and the scientific principles surrounding it. Applying these concepts to professional practice occurs through clinical placements, which begin in your second year and continue through third and fourth year. During your fourth year you will also take part in regular pre-clinical preparation workshops to further extend your skills as you move into advanced areas of practice. 2. Students must successfully complete a "Provide First Aid" course before they will be able to commence RADY 2015 Radiation Therapy Clinical Practice 1. 3. Students are required to satisfy the standard of dress and behaviour prescribed by institutions in which clinical placements are undertaken. Failure to satisfy such requirements may prevent students from completing the program. 4. Maximum credit allowed - normally up to two thirds of the total units of the program. 1. Students will enrol in the radiation therapy specialty at the commencement of the program. Transfer to other specialty streams (medical imaging or nuclear medicine) is only permitted within the bounds of available clinical placements and, where necessary, will involve ranking by academic performance in the first year. 2. The clinical courses (Radiation Therapy Clinical Practice 1-4, Radiation Therapy Honours Clinical Practice 4, Radiation Therapy Professional Entry Practice 1-2 and Radiation Therapy Honours Professional Entry Practice 1) form a significant part of the program and students are required to be reasonably fit to successfully undertake these components. 3. Students will be required to complete a clinical placement at a rural or regional location. 4. Students will be required to undertake clinical practice courses at scheduled periods across all seven study periods. 5. Attendance requirements apply to the clinical components of the program. Students enrolled in courses with a clinical component will need to attend on a full-time basis for the duration of the courses. 6. Students will be required to undertake a Certificate of Mandatory Notification before commencing the RADY 2015 Radiation Therapy Clinical Practice 1. 7. This Elective is a free elective to be selected by the student. 8. Normally students who achieve a credit level or above in the courses which make up the first and second years of the program may be considered for the Honours program. A quota of places is offered each year to applicants in an academically ranked order. An invitation to undertake Honours will normally be made towards the end of the second year of the program. 9. Students may be required to complete an interstate clinical placement. This degree offers extensive hands-on learning, coupled with the support and mentoring from award-winning teaching staff and academics. Our state-of-the-art on-campus facilities, including the Virtual Environment Radiotherapy Training (VERT) suite, means you will get plenty of practical experience, ensuring you graduate career-ready. We're one of only seven universities in Australia to host VERT, which is a three-dimensional treatment room where you can treat virtual patients using equipment identical to the equipment used by practitioners in real-life. This will be complemented by more than 1,800 hours of practical work placements in Adelaide metropolitan areas, rural and interstate settings, where you will practice the skills learned in class. As a medical radiation science student you will benefit from our strong industry links. You will learn from experienced medical radiation professionals on-campus and during work placements. Work placements offer the opportunity for you to build practical skills and also enables and encourages the building of valuable industry networks and relationships. Throughout your studies, clinical specialists will also come on campus to teach you about current technologies and practices such as Computed Tomography (CT) and Positron Emission Tomography (PET) Imaging. 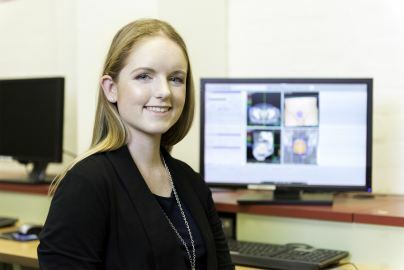 As Australia’s population ages and the risk of some cancers increases the demand for radiation therapy professionals is high1, creating significant opportunities for graduates of this degree. You should enjoy working with people, with technology, helping sick or injured people, working a variety of hours, be interested in the human body, being challenged by new ideas and being part of a team. Graduates are eligible to apply for general registration with the Medical Radiation Practice Board of Australia (MRPBA). As a medical radiation science student you will have access to our state-of-the-art on-campus Virtual Environment Radiotherapy Training (VERT) suite. We're one of only seven universities in Australia to host VERT, a three-dimensional treatment room where you are able to treat virtual patients using equipment identical to equipment used by practitioners in real-life. You will also have access to software packages for planning. I’m interested in the application of innovative learning and teaching methodologies within the clinical and academic learning environments, and how these environments interconnect. I decided to pursue a career in radiation therapy after my family, like many others, was affected by cancer. I saw the impact that radiation therapists had on their treatment journey; providing comfort, knowledge and care.